Posca pens. Ideal for all types of artwork. 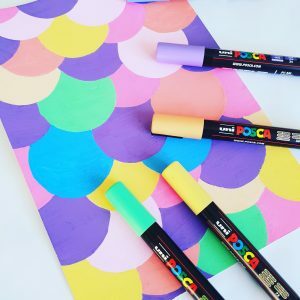 Posca water-based paint markers can be used on almost any surface. Posca are non- toxic water based markers that are alcohol and solvent free. Suitable for canvas, wall art, cardmaking, beads, wood, ceramic, glass,fabrics, paper craft and much more. Posca is the ultimate marker for creative hobbies. 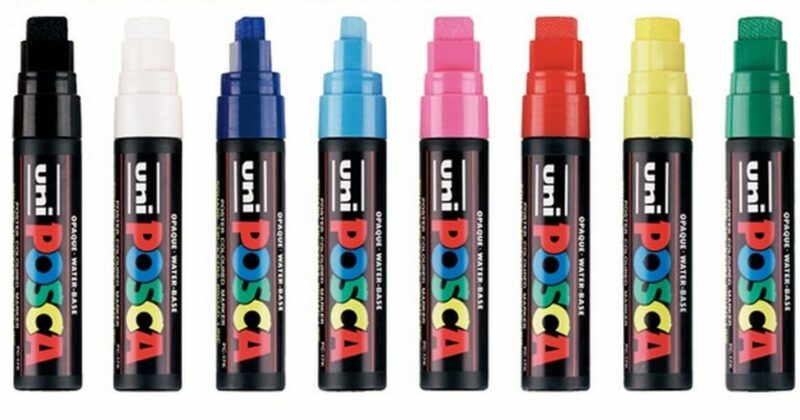 Posca have a range of 49 colours including 8 metallic and 7 fluorescent colours. Posca are semi permanent so can withstand rain showers. Ideal for menu boards. Posca give bold flat colours. 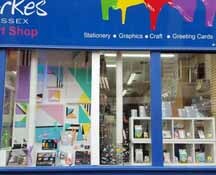 This entry was posted in Brighton Store, Products. Bookmark the permalink.